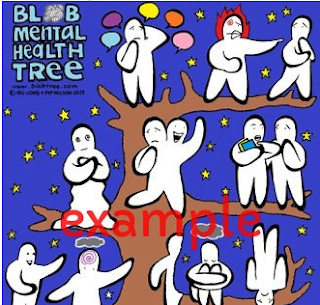 Pip Wilson bhp: Blob Tree 'Mental Health Tree' to help people to communicate & even speak. Blob Tree 'Mental Health Tree' to help people to communicate & even speak. I have worked with many #groups who have strong feelings #raging through their beautiful human damaged frames. and stick a sticker where they ARE - how they are #FEELING. others stumble out words when there is a climate of trust.